Tokyo wants India, Japan, and the U.S. to develop a trilateral framework for security cooperation. But New Delhi has good reason to be wary. THIS WEEK, the chief of Japan's Maritime Self-Defence Force — a well-equipped and robust navy that is still shy about calling itself by its proper name — will arrive in India to kick off a series of the most intensive high-level military and security-related contacts the two countries will have had to date. Admiral Takashi Saito's visit will be followed in March by that of General Tsutomu Mori, head of Japan's Ground Self-Defence Force (i.e. army), and in April, the chief of Japan's Air Self-Defence Force, General Tadashi Yoshida, will come calling. Sandwiched between these high-profile visits is the annual security dialogue between the two foreign offices as well as a visit to Tokyo by India's Defence Minister, Pranab Mukherjee. In April, provided Prime Minister Manmohan Singh names a full-fledged External Affairs Minister by then, Japan and India will conduct their first strategic dialogue at the Foreign Minister level. And the grand finale will be Dr. Singh's visit to Japan sometime in June or July, by which time both Indian and Japanese officials hope to have brought about a qualitative transformation in the strategic aspect of the bilateral relationship. One Japanese diplomat used the phrase `hop, step and jump' — to describe Prime Minister Junichiro Koizumi's visit to India last year, Foreign Minister Taro Aso's visit this January, and Dr. Singh's return visit to Japan later this year when Tokyo hopes the two sides will be ready and willing to "jump" to a new level of understanding. From India's point of view, this growing engagement with Japan makes good sense. The two countries have dealt with each other on the economic front for years but the political and strategic dimension in the relationship is relatively new. India, Japan, South Korea, and China have emerged as principal powers in Asia and it is essential that they interact with each other both at the bilateral level as well as in multilateral regional forums. Without these four countries — and Russia — establishing a relationship of comfort among and between themselves, it will not be possible to develop the security architecture Asia needs to deal with future challenges. This is where the present round of interaction between Japan and India — and the unprecedented visit of the three Japanese service chiefs in successive months — could play a useful role. The only hitch is that Tokyo wants more. Apart from developing the bilateral strategic relationship with India, Japan is keen to establish a trilateral framework for dialogue and security cooperation with the United States as the third leg. The Indian side is understandably wary. The Manmohan Singh Government seeks a strong strategic relationship with the U.S. but India has no interest in ganging up — or being seen to be ganging up — against China. As it is, there is considerable wariness in China and South Korea about the future direction of Japanese regional policies. 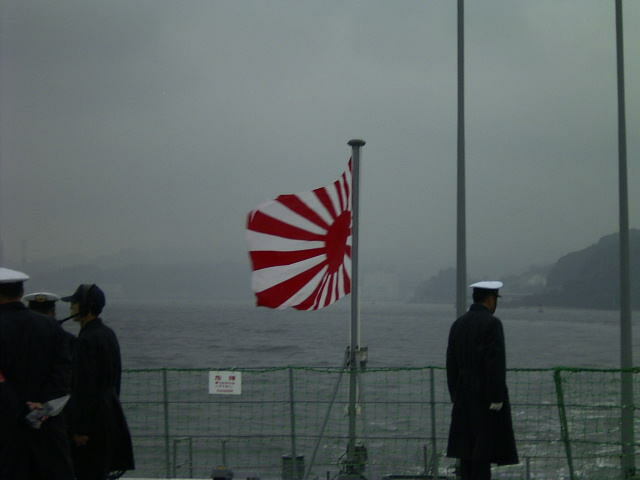 Japan has maritime disputes with both countries over the Senkaku/Diaoyutai islands and the Takeshima/Dokdo islets, respectively, and at least on the latter, there has been an escalation of rhetoric in the past few years. In February 2005, Japan also angered the Chinese by agreeing with the U.S. that Taiwan was a "common strategic objective." The last thing India wants to do is wade into that triangular relationship. When Mr. Aso visited Delhi last month, the Ministry of External Affairs displayed little enthusiasm for developing the trilateral framework that both Tokyo and Washington would like to see. But the Japanese foreign office has not dropped the idea completely. As a first step, it would like to broaden the ongoing Track-II demi-official bilateral security dialogue between the two countries by including an American component. Thus, in the next meeting of this forum in Tokyo at the end of March, the Japanese side intends to test the waters by inviting Richard Armitage — who served under Colin Powell as Deputy Secretary of State in the first administration of President George W. Bush — as an observer. This will mark the first time the bilateral India-Japan dialogue takes a trilateral turn with the inclusion of the U.S.
From the Bush administration's perspective, trilateral cooperation makes good sense. New Delhi is a crucial part of the web of alliances it has with Japan, India, and Korea which — as Secretary of State Condoleezza Rice said at Tokyo's Sophia University last March — ensure that China plays a "positive role" in Asia. "[I]f China were simply untethered, simply operating without that strategic context," Ms. Rice had said, it may be likely to play a more "negative role." As far as Japan-India defence exchanges are concerned, a trilateral element has already crept in because of Washington's decision to use Japan-based air assets for the `Cope India' joint exercises held in Kalaikunda, West Bengal last year. The F-16s that took part in the exercise came from the Misawa USAF base in Japan and the E-3 Awacs from the Kadena base. Not only did U.S. air force personnel come from Japan (and Guam and Hawaii) but six Indian Air Force personnel visited Misawa before the exercises to familiarise themselves with the F-16. In general terms, the trilateral idea has two dimensions. At the military level, the United States would like to enhance the inter-operability of Asian forces loosely aligned with Washington. And at the political and strategic level, it would like to demonstrate that India, Japan, and the U.S. will provide the nucleus around which any emerging security architecture in Asia must be built. A precursor on both fronts was the short-lived but strategically crucial four-power naval initiative the U.S. launched with India, Japan, and Australia in the wake of the Asian tsunami. The selection of the three countries was not fortuitous. China and South Korea also had naval assets that could have been used in relief work but they were not asked to join. In their own way, the Chinese have taken note of the significance of the quartet. At last year's naval commanders conference organised by the U.S. Pacific Command, the dominant theme for discussion was how to effect a defence transformation that would strengthen inter-operability between the U.S. Navy and friendly or allied navies like those of India, Japan, and Singapore. The purpose being mainly to deal with the so-called Chinese military and naval build-up and the development by Beijing of an "assassin's mace" type of capability. 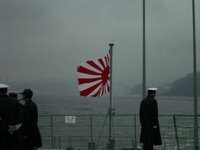 These discussions — which are still ongoing — parallel what is being attempted on the domestic political front in Japan since the March 1999 and December 2001 "suspicious boat incidents' and more specifically after the defence panel set up by Mr. Koizumi called for a smaller but more "functional" SDF. In its October 2004 document, "The vision for the future national security and defence capabilities," the panel also advocated a change in the constitutional principles that have prevented the Japanese military from playing a more pro-active or offensive role. When Admiral Saito meets his Indian counterpart, he is likely to explain Japan's evolving defence policy. According to Japanese diplomats, he will focus on the "importance of the U.S. military presence in Asia, and their contribution to peace and security" as well as the "Chinese military build-up" and the situation in the Korean Peninsula. There will also be the usual plans of fleet visits and friendly maneouvres. How to remain strategically engaged with Japan while also developing a strategic relationship with China and South Korea is a key diplomatic challenge that India will increasingly have to face up to. In its interaction with Japan, the Indian side needs to encourage a constructive approach to Asian security based on addressing current concerns as well as the lingering burdens of history. Security, and maritime security in particular, is not a zero-sum game in which a select group of countries needs to band together and exclude others in a manner reminiscent of the Cold War. Cooperative security rather than containment is what Asia needs. This is the goal India and Japan should work with others in the continent to achieve. Is the Indian defence not capable of Handling Chinese single handedly ? What are these Defence guys doing for 50 years after independence ? Where is the need for Japan in chinese policy ? the article only describes who said/did what. where is the analysis or even enumeration of WHY India shd be wary? why this coyness about the real concern: how china's feelings might be hurt? and why shd India care?